WELCOME HOME! Don’t miss the last chance for a new home in beautiful Avilla. This gorgeous home has all the space for an active family. 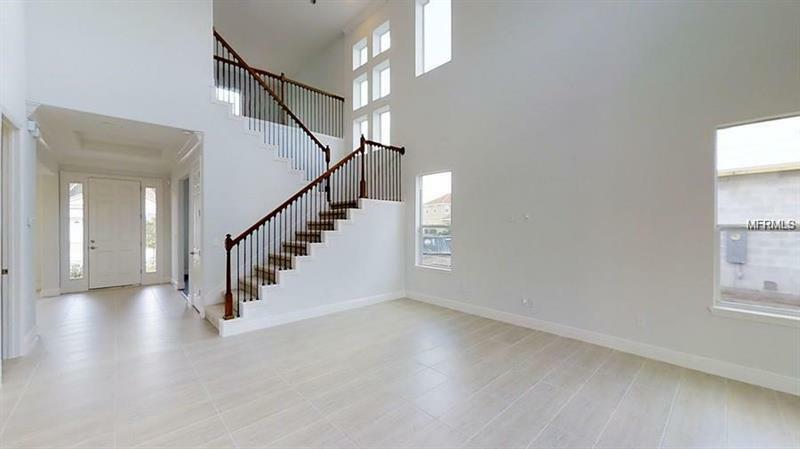 As you enter the foyer, you will marvel at the 20’ two story great room. The kitchen boasts a massive kitchen island, perfect for entertaining family and friends. Need a home office? This home has the perfect space, complete with wood floors. The back sliders open to a large covered lanai. Upstairs are four large bedrooms including the master with huge bath featuring both a walk in shower and soaking tub, one secondary bedroom has an ensuite bath. The home includes all the energy features you are looking for plus a tile roof. All of these features plus plantation shutters, paver streets and driveway. Yard maintenance is included in the HOA dues. Don’t wait, come see this home today. Copyright © 2019 Mid Florida MLS. All rights reserved. The data relating to real estate for sale on this web site comes in part from the Internet Data Exchange Program of Mid Florida MLS. Information provided is for consumer's personal, non-commercial use and may not be used for any purpose other than to identify prospective properties consumers may be interested in purchasing. TTT Realty participates in the MFRMLS Internet Data Exchange (IDX) program, allowing display of other MFRMLS broker's listings on this site. However may not include all listings currently available. Information is deemed reliable but not guaranteed. Information last updated at 2019-04-20 19:35:01.